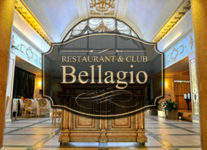 About us | Ресторан "Bellagio"
Restaurant «Bellagio» working since 2003, we provide services to our guests. 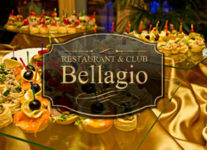 We organize corporate events, birthday parties, business meetings, weddings, private parties etc. Our guests profile is well known people from Kazakhstan, CIS countries .we has been able to establish Premium class restaurant and try to maintain international standards. Restaurant offers multi cuisine surprises with its diversity: Italian pasta and antipasti, juicy steaks cooked over charcoal grill, Oriental cuisine offers you Lagman, puff pastries, pilaf and kebabs. 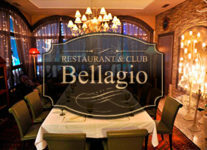 Courteous, attentive staff will explain in detail particular dishes, and a professional sommelier will help you to choose wine as per your meal. 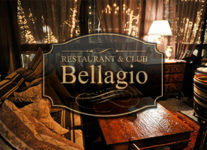 Restaurant “Bellagio” blending harmoniously with the mountain landscape, combines comfort and romantic atmosphere. Member of the category “Interior of public buildings” – a prize for “Best Interior 2003 Union of Architects recognized in Almaty. For you to enjoy the nature, we offer best product manufactures of cognac, from the most popular to the most exclusive range. Addition to a glass of cognac we also offer excellent quality of Cuban cigars.